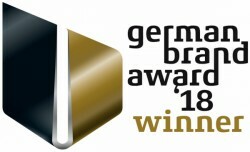 The cardiostrong elliptical cross trainer EX80 Plus offers a very varied training, for which three main points are responsible: the smart training computer, the stride length adjustment and the ergonomic multi-grip concept. The handle bars offer many grip options in height as well as in hand position. That's very comfortable for the person exercising! 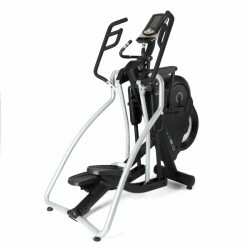 The cardiostrong elliptical cross trainer EX80 Plus: Experience a new training! The cardiostrong EX80 Plus offers you some advantages throughout the training, which you will hardly find with any other machine of this class. Adjustable stride length: Walking, stepping or running - what do you prefer? A correctly adjusted stride length is decisive for a comfortable, motivating, and thus successful training. Due to the adjustable stride length, the elliptical cross trainer is not just good for different heights, but also allows different training movements! A short stride length is similar to walking, a long one rather to running. Due to the new handles of the EX80 Plus, an additional comfort while exercising is guaranteed, because you can now change the hand position and grip height easily. Improve your health, lose weight and increase performance with one machine! Due to the smart training programmes - four of it are efficient pulse programmes - and the high performance range, every user finds the appropriate workout. Thus, a training in the so called fat burning zone can be done with a heart rate programme or you can maximise your own sporty performance with an interval programme! Joint-gentle training with the cardiostrong elliptical cross trainer EX80 Plus. The cardiostrong elliptical cross trainer EX80 Plus is equipped with a newly developped joint system, which does not only reduce the required space of the fitness machine but also provides a comfortable training. The flywheel is connected to the foot pedals via a joint system. Thus, the cardiostrong elliptical cross trainer EX80 Plus has a smooth, joint-gentle course of motion. Further features of the cardiostrong elliptical cross trainer EX80 Plus also leave nothing to be desired. A cup holder is included as well as practical transport wheels for moving the cardiostrong elliptical cross trainer EX80 Plus comfortably after your workout. The cardiostrong elliptical cross trainer EX80 Plus is equipped with an extraordinary, modern shape and colour language. It adapts perfectly to every living environment. Space-efficient dimensions are also taken into consideration: For an elliptical cross trainer of this equipment and movement comfort, the EX80 Plus is really a small machine. In addition, the cardiostrong elliptical cross trainer EX80 Plus is designed for regular use and is ideal for frequent, intensive training sessions. Thus, the cardiostrong elliptical cross trainer EX80 Plus offers a first-class training experience for every user of every performance level. The cardiostrong elliptical cross trainer EX80 Plus: ideal for ambitious sportsmen! 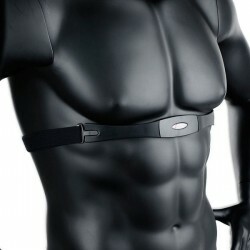 Sport-Tiedje chest strap 122 kHz In stock! cardiostrong elliptical cross trainer EX80 Plus add to comparison list.